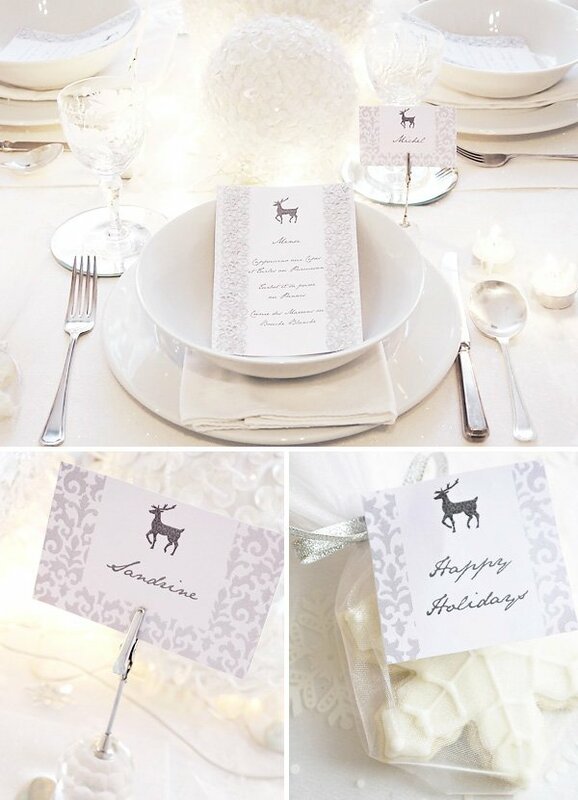 This gorgeous WINTER WONDERLAND table designed by Bird of Bird’s Party absolutely exudes holiday elegance! 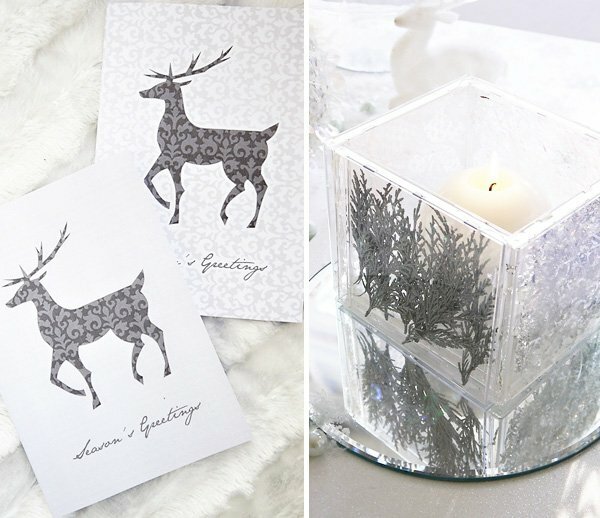 The versatile silver & white palette + sparkly holiday vibe = fantastic inspiration for both Christmas dinner and New Year’s Eve celebrations. 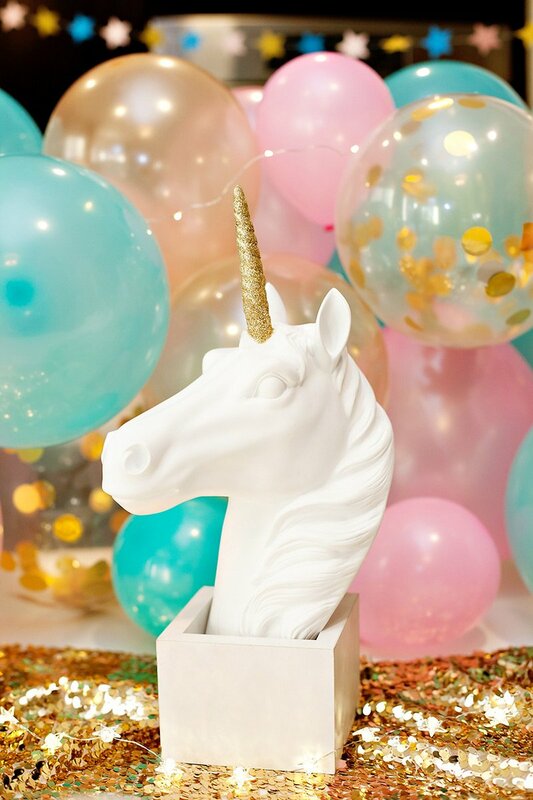 Read on for lots more beautiful images + party details and recipes! ‘Dreaming of a White Christmas’ was my inspiration. 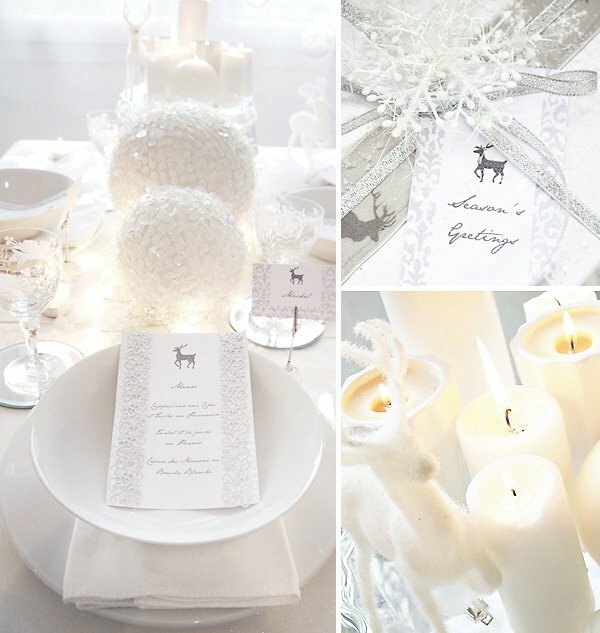 Here in southern France, snow is rare at Christmas, so the idea of styling a complete white party seemed very appropriate to bring the snow inside at any cost! 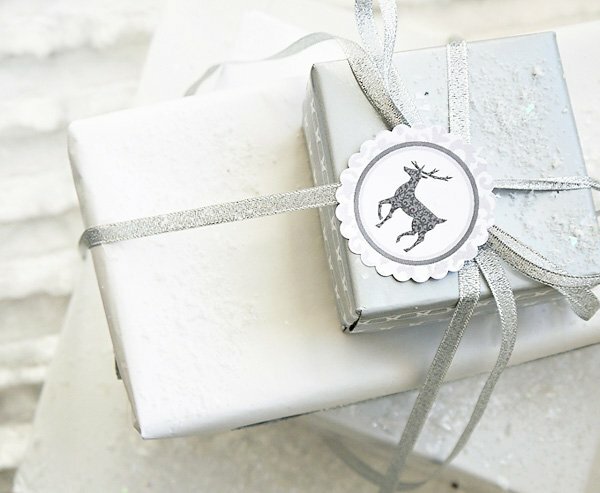 Inspired by snowfall and cozy winter days, I chose a white color palette to reflect a crisp, pristine but also very cozy look with a touch of glam – but without breaking the bank! By mixing different textures, from fabrics, to paper, glass and ceramic, wool and fleece; you can create a monochrome white look without making it look too clinical. The addition of candles and mirrored tiles on the table, helped to bounce light around and add warmth to the whole set up. I used lots giant white baubles from Christmas decor as a centerpiece with fairy lights from my Christmas tree to illuminate the ensemble. They were very dramatic, but still low enough so you can see your guests. White, simple china with crisp white napkins and, ‘special occasion’ glassware and silver flatware were chosen, and an organza tablecloth on top of a white, linen one to add another cozy layer. For coasters I used round mirrored tiles from my local hardware store. My chairs were wooden and to cover them up I used soft blankets and fleece cushions that the guest could also use to wrap themselves if it’s a little chillier. The beauty here is that the blankets and cushions can be used again in the home! A cupcake stand from Willow House was used to prop up the candles and the end of the table, and paper snowflakes and clear baubles filed with fake snow are hung from the ceiling in front of the window. Designing a white Printable Collection is not easy, so I included shades of light grey to the designs. The main design icon here was a reindeer, featured on all the printable templates. 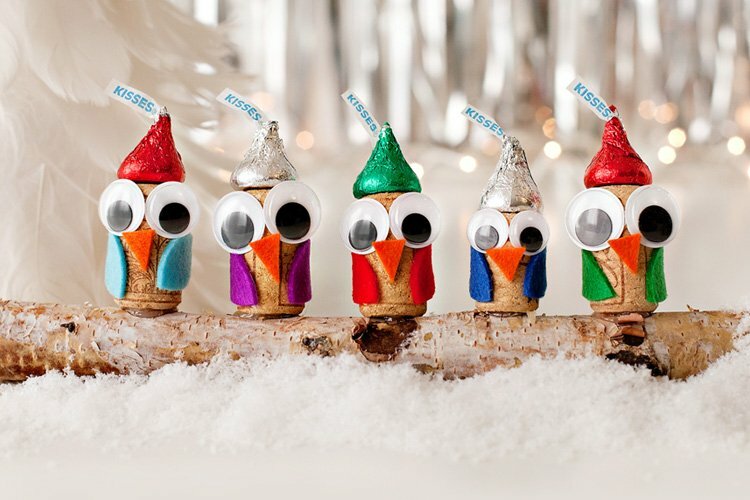 It gives it a seasonal, classy touch, without being over the top. The preciousness of Holiday parties and entertaining is emulated also by the damask grey pattern used throughout the collection. 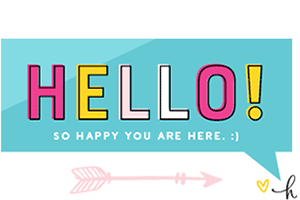 The great thing about this printable collection is that the customer is able to edit some of the templates with heir own text. It’s a dinner set ‘Winter Wonderland’ printable collection including editable Menu cards, editable buffet cards, gift tags, printable greetings cards that can also double as invites, cupcake toppers and patterned scrapbook paper. 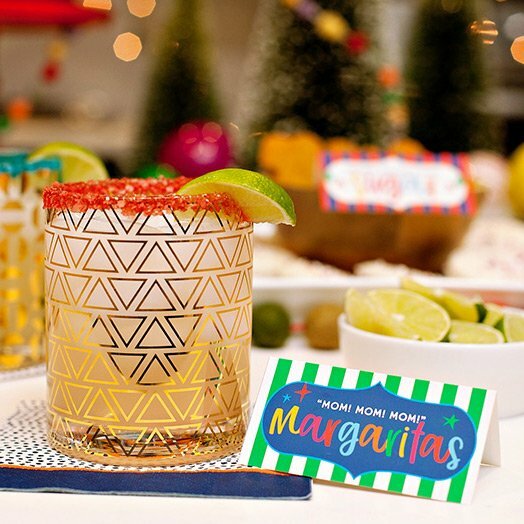 I find there’s so much you can do with party printables, and your imaginations is the limit! Spending lots of cash or time in food preparation does not mean your guests will enjoy the party more so I decided to turn up the volume on simple, every day ingredients and recipes to make them a little more special but totally do-able and budget friendly too! 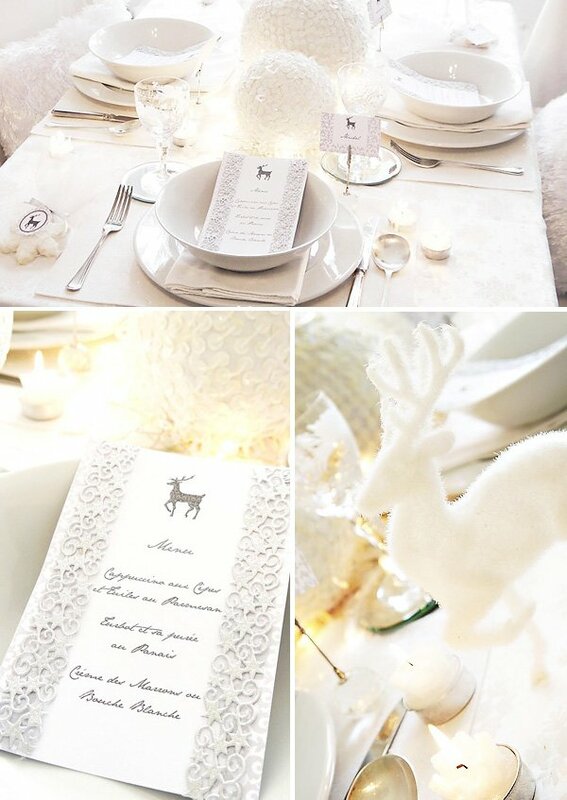 The color palette and choice of menu was also to reflect the white, crisp colors of the party. The luxury here is to have a choice of 2 dishes so I create a Bûche de Noël (White Yule Log) and a Chestnut Montblanc. A simple Yule log is dressed for the occasion with some stunning edible snowflakes and a white poinsettia by Belle Cake Topper and Mould. For 6 people – Preparation: 20 mins. Cooking Time: 20 mins. Preheat the oven to gas mark 6 or 180 Deg °C. On a non-stick baking tray, place 6 level tablespoons of Parmesan spaced out to prevent them from sticking together, and place in the oven for about 2 mins or until golden. Take the out and leave to cool on a wire rack. Soak the Cèpes in a bowl of hot water for about 15 mins. In the meantime, sauté butter and shallots in a pan for 5 mins. Then Add the drained Cèpes and mushrooms and fry for about 10 mins. Add the dried bouillon and 10cl of water and bring to boil. for 1 min. Blend all together until smooth, and season to taste. Serve warm with parmesan sprinkled on top and the parmesan tuiles on the side. For 6 people – Preparation: 40 mins. Cooking Time: 45 mins. Prepare the fish stock: In a pan, add leaks, shallots, fish pieces, bouquet garni, the wine, peppercorns and 70cl of water. Simmer uncovered for 20 mins. Sieve the stock, and put in back on the heat to reduce by about half. Preheat the oven to gas mark 6 or 180 °C. Place the fish on a baking dish, and add the olive oil and vinegar on top. Reduce the oven temperature to gas mark 4 (120°C) and place the fish in the oven for about 10 mins. Take out about 30cl of the cooking liquor and blend with the warm, reduced fish stock until it resembles the texture of a thin mayonnaise. 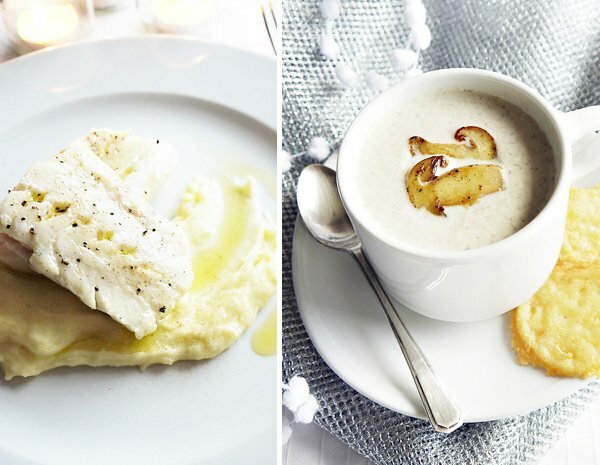 Season to taste and serve with the fish on a bed of mashed potatoes and parsnips. Whisk the cream until soft peaks are formed. 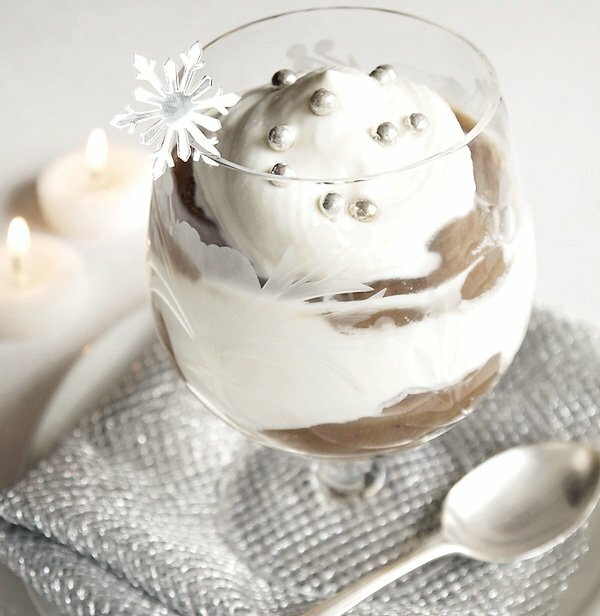 Break the meringues and add a layer of meringues to a serving glass, followed by a Layer of chestnut puree and a layer of whipped cream. Carry on until the glass is full. Finish with a layer of cream. 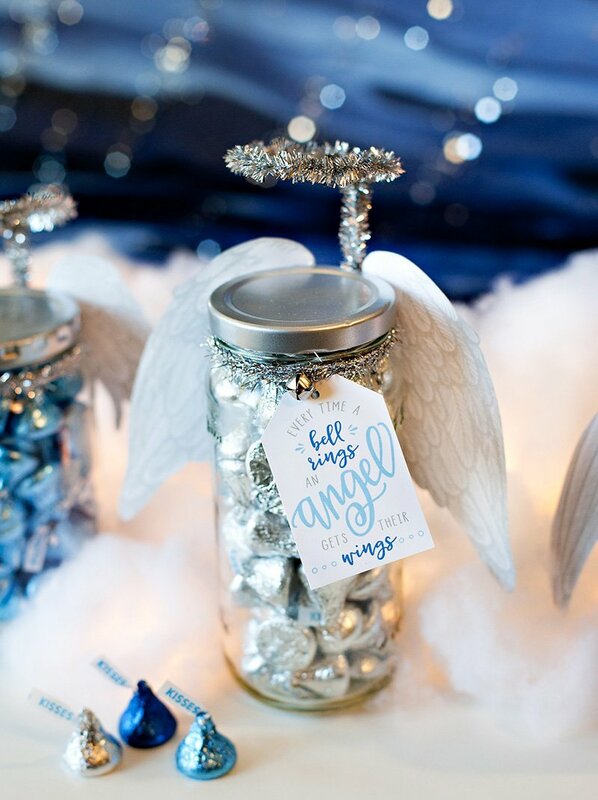 Sprinkle with Silver sugar sprinkles and sever chilled. Preheat oven to gas mark 6-7 or 200°C. Separate eggs. Beat egg yolks with sugar, then add the flour and hazelnut powder. Beat the egg white until fluffy with a pinch of salt, then mix it to the batter mixture,delicately in two stages. Pour mixture onto baking parchment (30 x 40cm) and bake in the over for about 10 mins. Take it out of the oven and place It onto a damp tea towel, peeling back the baking parchment slowly and cover with another damp tea towel. Roll the cake and set aside Until completely cool. Unroll the cake and spread with Dulce de Leche, then roll it back up on itself, then roll in cling film and refrigerate for 12hrs. Before serving, unroll the cake and cover with the white chocolate butter cream:Beat the icing sugar and butter until smooth. Then melt your white chocolate and add to the butter cream and mix until well combined. Spread on cake and sprinkle With icing sugar. Decorate with edible flowers and snowflakes (From Belle cake Topper and Mould). 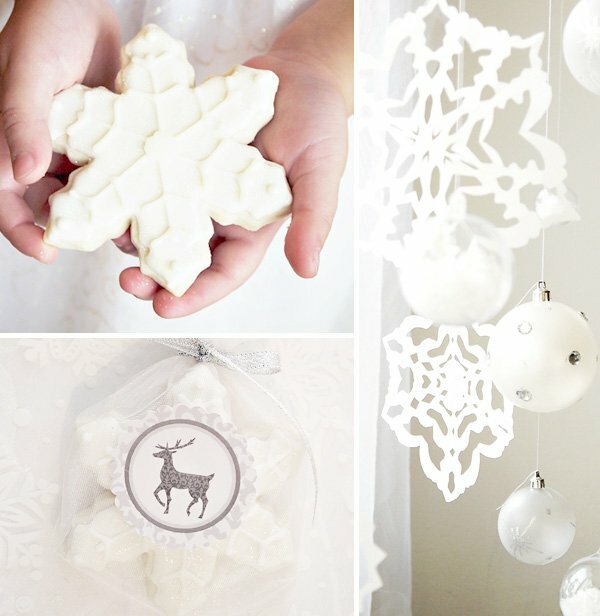 In-keeping with the theme, guests can take home baubles with coconut meringues inside, and a stunning and oh-so scrumptious decorated cookie snowflakes (with edible glitter!) from Allyson Jane Designer Desserts, which were wrapped in white muslin and tied with a silver ribbon and a party tag from Bird’s Party. Gorgeous!!! 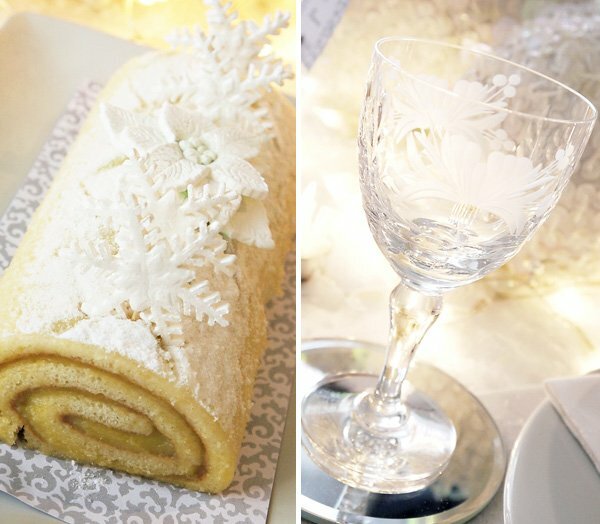 That white Yule log with the edible snowflakes on top is to die for!! Just stunning!! 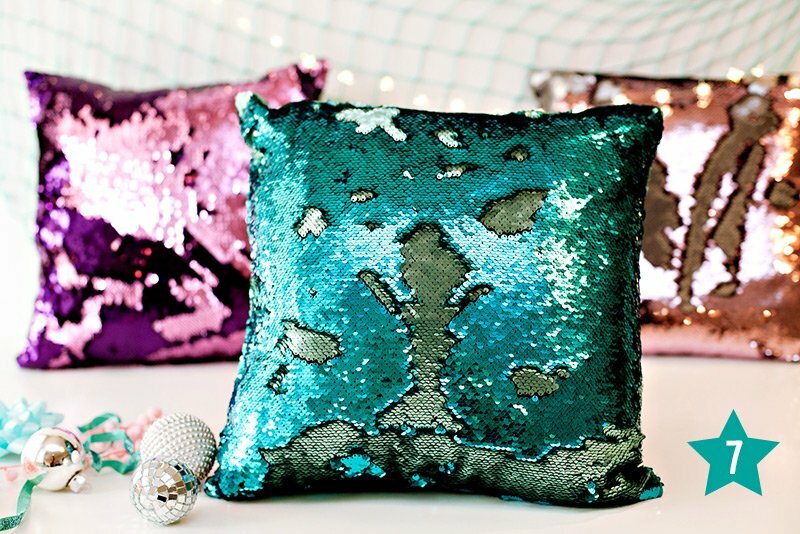 Love every sparkly, flurry inspired detail. Bird truly has a gift for making party magic happen!! LOVE. Any chance you could share where you found those gorgeous goblets?? Absolutely Gorgeous! I love the white on white! Im loving your table.. gorgeous and classic! That is a little slice of heaven and most certainly took me to a dreamy place of a White Christmas!!! Absolutely stunning and the yule log looks spectacular!